We greet you in the most precious Name, JESUS. We are thrilled to announce to you that in the month of January 2014, we celebrated the 35th anniversary of the United Pentecostal Church of France. 35 years or missionary work and 35 years of training and pastoring the headquarters church. When we came to France in 1977, there was no United Pentecostal Church. We give the Lord Jesus all the Glory that through many trials, tests and storms, we have come forth triumphant. We have witnessed 35 years of revival, of growth and of victory. 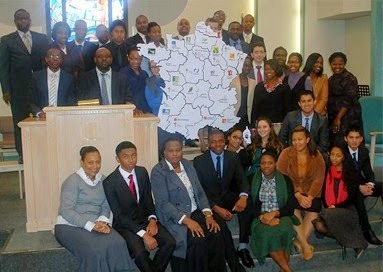 Today we have a solid foundation for a mighty, Apostolic Church in the country of France. We thank God for 40 licensed ministers, 19 churches, 3 preaching points and over 2,100 people baptized in Jesus Name and filled with the Holy Spirit. 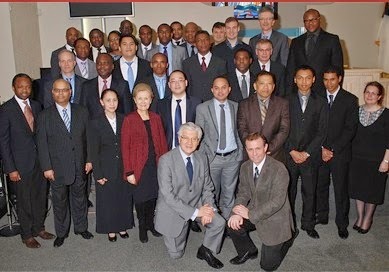 The French Bible Institute has 38 students enrolled at this time and is training men and women for French speaking countries of the world. We have also translated much literature into the French language, which is a source of great blessing to the Oneness Apostolic movement worldwide. We thank God for what has been done. Now we are looking with great expectation to the future, believing God for an unprecedented outpouring of His Spirit upon the country of France. Thank you for your faithful suppost through the years and for your ceaseless prayers for us and the country of France. TOGETHER we are laborers with God.